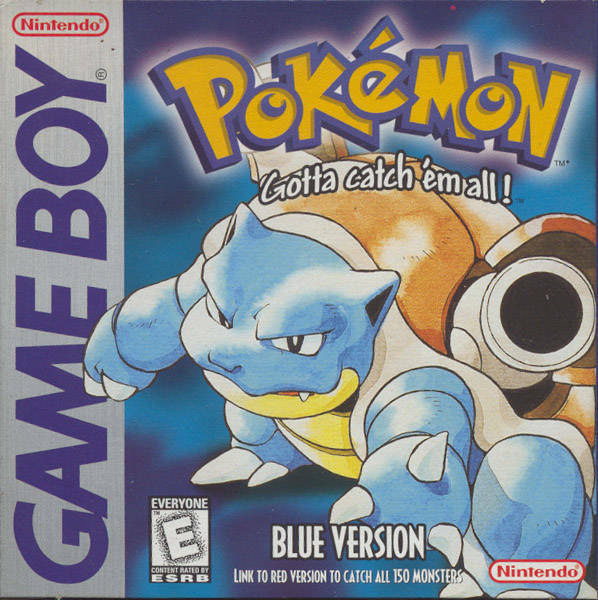 Pokemon Blue Game Boy Game - Cleaned, Tested, and Guaranteed authentic. You play as Ash Ketchum, a boy on a quest to become the greatest Pokemon trainer in the world. Your mission is to collect all 150 Pokemon and defeat the skilled trainers that challenge you to Pokemon duels. Continue to develop your team to defeat the eight Gym leaders in the different towns to become the greatest Pokemon Master of them all. Great game still. Just as annoying as when I was young. Which makes it fun! Cartridge booted up and battery still had 'juice' to save. I'm LUKIE for life. Obviously the game cover is a little faded, but the game is 20 years old. It still works great, and I’ve had no issues with it! I love that I can find classic games with Lukie Games. Game works great and saves fine! Thanks lukie! Being one of the oldest Pokémon games created, I expected the cartridge to have some cosmetic flaws; well, there are none, even though everything is original. This was a very good surprise! As for the game, if you ever feel nostalgic, buy it; it's worth every penny. Good game. Got it to trade with my Red and Yellow cartridges and catch them all! Love it! This product came in mint condition, works amazing and the game is fun. I would recommend it to any Pokemon fan! Bought this for a bit of nostalgia. Will be purchasing all old games and systems from Lukiegames from now on. Time to vs the fiance with his and pokemon red. Had problems at first, it wasn't working but I just had to try a few times and they also recommend to clean it. Really good game; as a DS Lite generation kid, I dislike the graphics (it doesn't look like the anime either) but I'm sure that at this time it was the best and it's not changing the fact that it's a really good game. The best game available for Game Boy! The first one they sent me wouldn't save, but my replacement was great! Thanks for great return policy and customer service Lukie Game! Game works and operates as designed. No issues yet. Cartridge is in great condition.